Bali Pebbles Mosaic is a stunning natural beach pebbles stone mosaic which is comes from beach in Nusa Tenggara Timur Province. 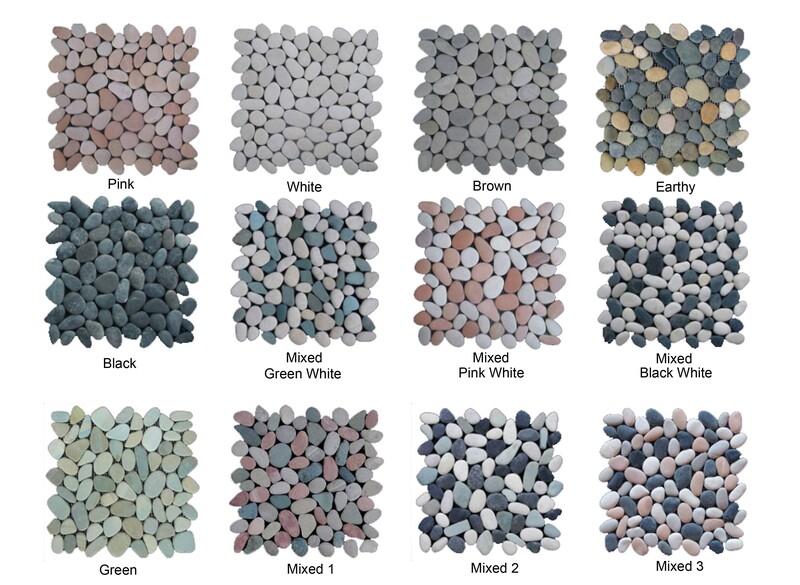 Bali pebbles mosaic offers many color such as white, black, green, red, brown, beige, pink and many more. Bali pebbles mosaic are decorated tiles made of natural pebbles that are taken from the island of Bali. The stone tile adorns beauty to walls and floors alike with its rich textures. Its elegant appearance is also suitable for any rooms. Generally, pebble mosaic tiles are suitable for kitchen and bathrooms. Usually, it is installed as flooring, sink base and backsplashes as well as around swimming pools or fountains. Its natural look seems to be a perfect option for you who want to have a natural decorative appearance. Because the mosaic is made from natural solid pebbles that are collected and glued with high quality sealers, it could last for many years with proper treatment. Creating Bali pebble mosaic needs special skills and well-selected materials. After being carefully chosen, about 60 pebbles are being grouped together into a mesh background. Every single pebble has uneven edges but the creator it could be fixed together as four-side tile, so it can be placed perfectly on a floor or wall. If we compare to other tiling options, pebble mosaic is relatively cheaper and can be easily used both indoor and outdoor. The installation technique for pebble mosaic is quite easy because you just have to lay each tile next to each other. Such technique will create an interlocking but with seamless borders. Bali pebbles mosaic is surely an excellent option if you want to bring the beauty of nature into your home design. You do not have to worry about how to install it because once again, it does not need special skills; once you see the shape, you will understand how to place and install it in the areas you wanted. We have to tell you that many homeowners and home builders now are using pebble mosaic because more people wanted to have a more natural look. The price of the pebble mosaic is also cheaper than any other hard flooring because basically, this mosaic is created from pebbles, small stones that mostly left unused. Pebble mosaic tiles are easy to replace if needed. Pebble mosaic can be used for any surfaces, including the busiest ones, such as sink base, bathroom flooring and swimming pool. Natural pebble mosaic is durable to most common detergents and easy to clean. Now, if you are interesting to decorate your home with Bali pebbles mosaic, there is only one place you have to visit, which StoneBali.com. 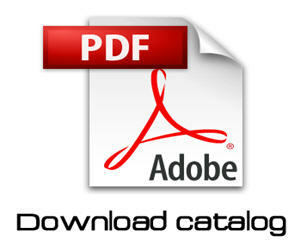 This place is different from any other stone tile stores because here you will find only the highest quality products. Professionalism, services and complete products are three main benefits you will always get if buying stone tiles from this supplier. Another fact is that Stone Bali is the only natural stone tile supplier that has worked with huge projects, including hotels and big buildings in Bali. Explore the site for more information and to see the collection of the pebble mosaic.